Join us with the initiative in helping us to create awareness amongst our youth about the importance of helping. WHEN YOU HEAR ABOUT SOMEONE DOING SOMETING TO HELP OTHERS OR OUR PLANET – TAG US! SHARE YOUR ACTS OF HELP TOO! Social Media Shout Out! 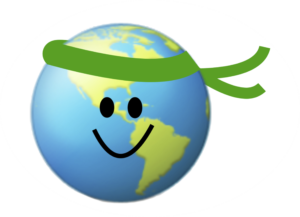 Helping Ninjas High Five – Helping Ninjas will shout out to individuals or businesses that are leading by example, choosing to use plastic free or eco-friendly items. For example, Kroger recently announced they would remove use of plastic bags by 2025. They derseve a Helping Ninja High Five! Wouldn’t it be wonderful if children enjoyed helping just as much as they do other things they do in their spare time? And sought out to do it themselves? If children are already gathering to hang out, and do the things that they should do like playing outside, riding bikes, playing toys, playing on their device or video games, watching tv, eating desserts, going to see a movie, etc…then why not utilize 10-15 minutes of that time to show them fun ways to help our planet and others? If its captivating – children are the best audience! They are wholly engaged when learning something new and interesting. Host a Helping Ninja Social or Start Your own Helping Ninja Chapter! The Helping Ninjas goal is to create awareness across the word about the importance of helping and strive to help connect citizens in a community to each other and local charities and organizations in need – and help them to make a positive change whatever the cause may be. And, you can do this in your own neighborhood, school, classroom, local park – anywhere! You can host a Helping Ninja Social/Event/Project or even start a chapter in your city! Helping Ninja Social. A social gathering, can be small or large, can be ongoing or a one time occurrence. The goal of the Helping Ninja Social is to build community and create awareness. A social can be as small as two people gathering together to do one act of help, or as large as you like. At a Helping Ninja social your main goal would be to educate and act! Learn. Record. Share. Learn about something important going on in the world and learn how you can make a difference – and then do it! Together with friends, family, neighbors, or class mates! Example Social: Let’s meet this afternoon for a Helping Ninja Social at the coffee shop. We can pick up some old coffee grounds to take home, and drop off some books to the lobby to donate to the kids area. While we are there, lets talk about composting with coffee grounds. We can even look at pictures on our smart phones and then we can take the coffee grounds to our gardens or to a local compost later this week. Example Social: Invite friends over for a cause and some fun! For example you ask invitees to bring an item to recycle, and then will view a video about recycling and talk about it while eating popcorn! (And, maybe you write a blog as a group and submit it!) Or you can make art for nursing home residents and deliver at a later date. Or you can have a lemonade stand and donate the money. And you can sample the lemonade too! Or you can meet at the park and pick trash up then play on the playground! Helping Ninja Event. Just like a social gathering, the event can be small or large, it can be ongoing or a one time occurrence – but would include a speaker from the community, or would be held at a local establishment such as a park or a charity. Example: Invite friends over to watch videos about the environment and have some popcorn! Such as our Popcorn and Pollinators! Helping Ninja Project. Helping Ninjas encourages children to learn to help and all supports efforts and lends help where needed for any origination or child. If you are interested in creating a Helping Ninja project at home, in class, a place of business– anywhere, please contact us. Helping Ninja Challenge Helping Ninjas supports encourages others, especially children and groups of children to learn, and challenges are efforts and lends help where needed for any origination or child. If you are interested in creating a Helping Ninja challenge at home, in class, at school, church or a place of business– please contact us and or post on one of our social media outlets. Helping Ninjas promotes and accepts promotion of all online, and social media challenges amongst friends, siblings, co-workers, classmates, organizations and businesses!! Follow our Learn.Help.Share. motto and create Helping Ninja Challenges in good taste in efforts to create awareness about the importance of teaching youth to learn how to help! Or challenging someone (or some place or group) to help! 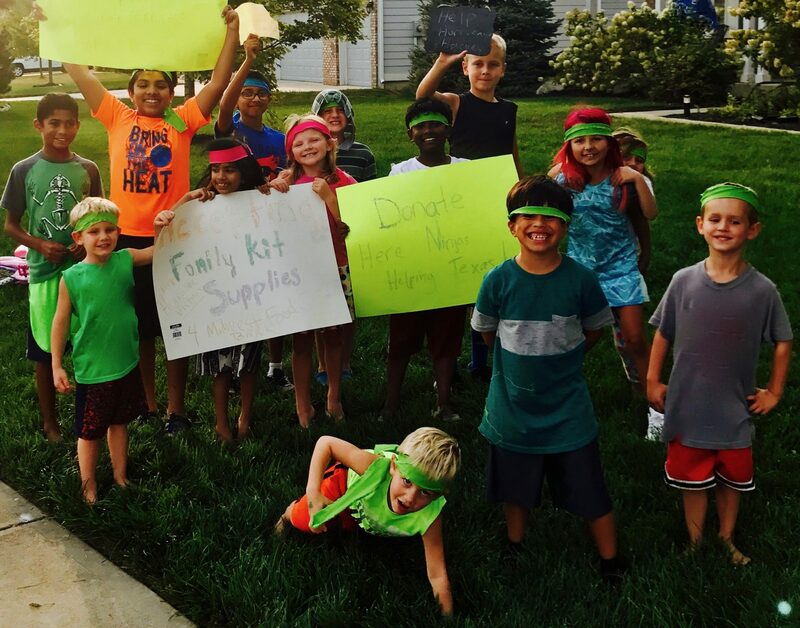 If you are interested in having a Helping Ninjas Club or Social, or forming a group in your classroom, neighborhood, community or organization – it’s as easy as sending an email. Guidance is given on how to start creating opportunities for children to learn to help, and to have hands on helping experience! Geared to giving back or helping a cause, these learning experiences and adventures for children in your classroom, neighborhood, or organization are positive experiences uniquely providing a means to learn how to become highly skilled at helping. Clubs, social gatherings and events are a way children can connect with their peers and friends and dedicate time when getting together-to try to help in some way – big or small. Any child, neighborhood, school or organization that is willing to help our cause is welcome to participate. Anyone can be a “Helping Ninja” – by our definition, a helping ninja is a person highly skilled at helping and person – big or small, can be one! Its a fun and easy thing to do, and teaches such a valuable lesson- a lesson we sometimes wish we always had enough time in the day to communicate to our children/youth. To Help. We as leaders, citizens, parents, guardians, grand-parents, care-takers, and teachers need to realize the vast importance creating opportunities for our youth to help and likewise, then doing it – actually creating opportunities for them to help and learn! Showing them how to do a simple act of help. And, eventually, individuals young and old will learn how to integrate it into daily routines. One of our goals is to start Helping Ninjas groups in neighborhoods and communities all over the world!